Drawn by two of the greatest comic book legends, Jack Kirby and Gil Kane, this is an art-sized, hardcover collection of the ‘long lost’, previously unpublished comic books based on the cult classic 1967 British TV show, The Prisoner. This collection includes facsimiles of the original script written by Steve Englehart and includes bonus features written by Englehart and Bob Wayne. 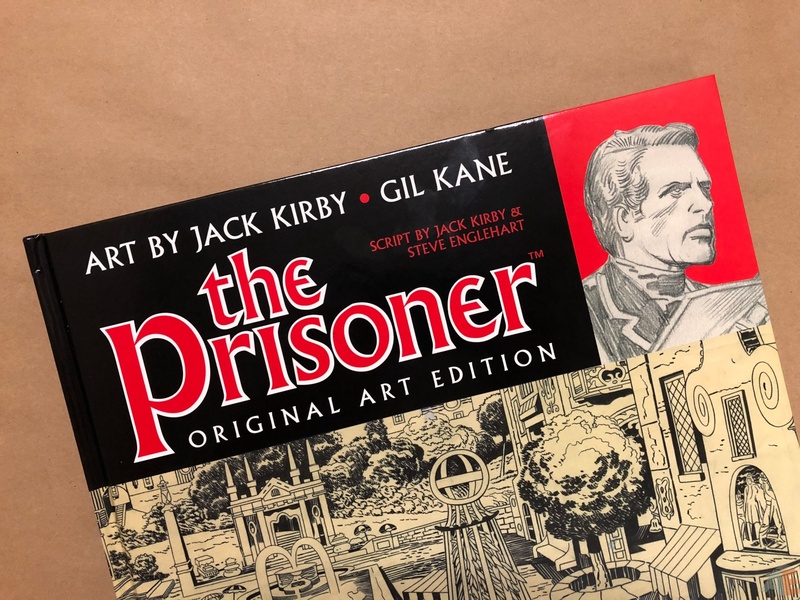 Collecting the entirety of two preliminary works of The Prisoner, from Jack Kirby, Mike Royer, Gil Kane and Steve Englehart. 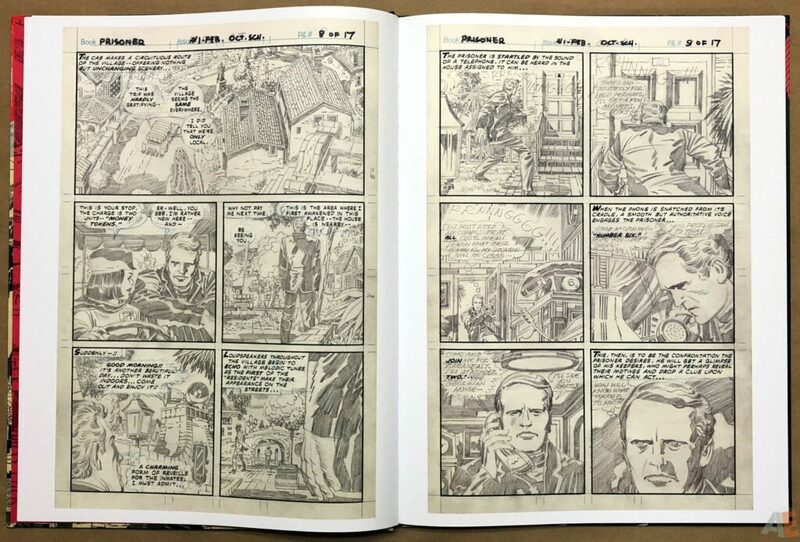 Along with these unpublished works are extensive biographical material of the creators involved. Plus an introduction by Mike Royer, Writing The Prisoner by Steve Englehart, Englehart’s complete script, the ITC Press Book from the shows launch in 1967, and The Making of a Television Legend by Rick Davy. 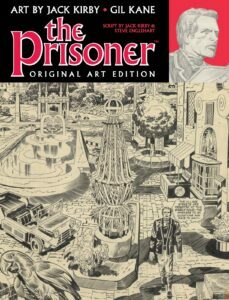 This isn’t the usual original art book, but a look at the cult television show and its failed attempt at comic book transition. Unfortunately, neither of the comics are completed. 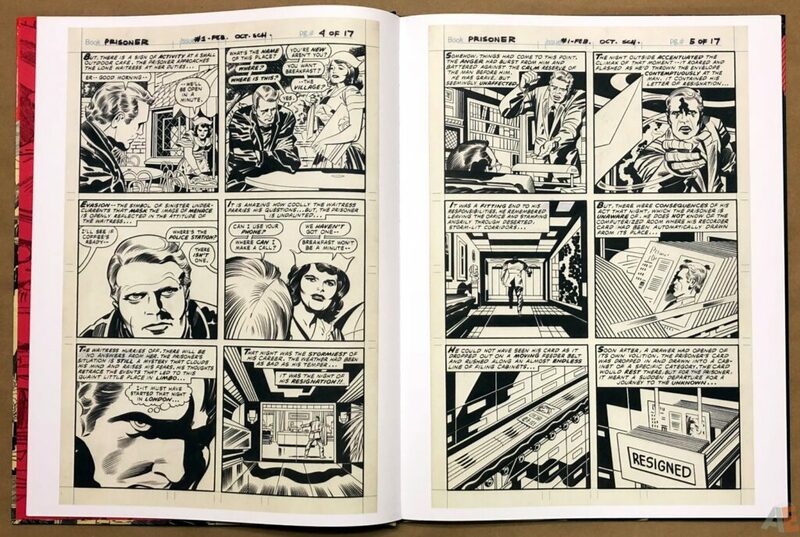 Kirby pencilled the complete first issue but Royer only inked and lettered the first five pages. 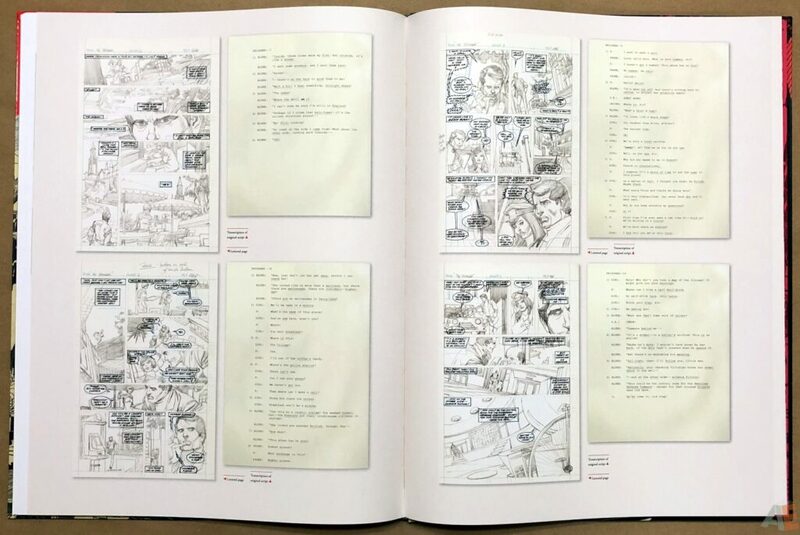 There is lettering on the rest of the pages but it appears to be done at a later date, possibly for this book. Kane’s issue fares worse, with pencils expecting inks to complete and finish the pages. We do get to see Kane’s pages lettered by Rick Parker along with the script pages, but at a reduced size of two to a page. Scans are clear and clean with no visual issues. What few inks we have show gradients. 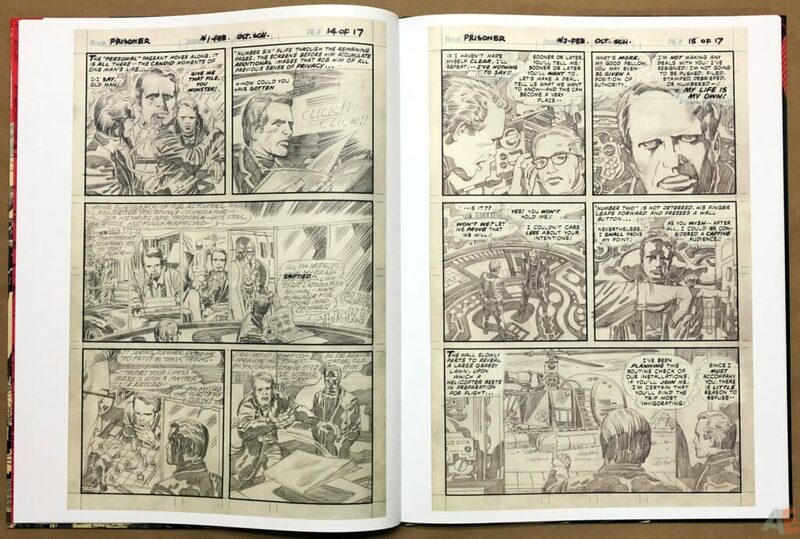 Extensive use of blue pencil by Kane and somewhat by Kirby. Overall excellent reproduction of pencils. A very pleasing design, with lots of negative space. I enjoy the red from the logo working its way throughout, moving from title page and indices to arrows and dividing lines and filling the endpapers. Simple and effective chapter dividers, although the change of format for the Supplemental Material divider was odd. 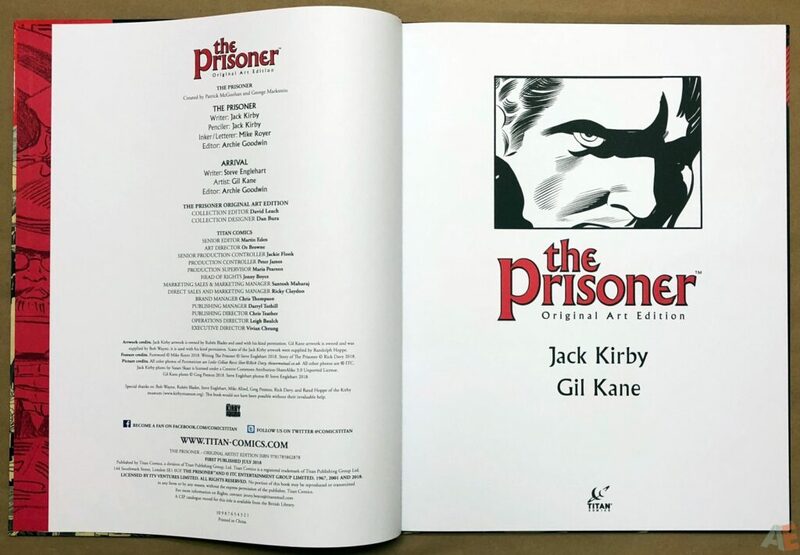 Excellent production: sewn binding of thick matte paper stock. The book is shrink-wrapped, but no cardboard case. 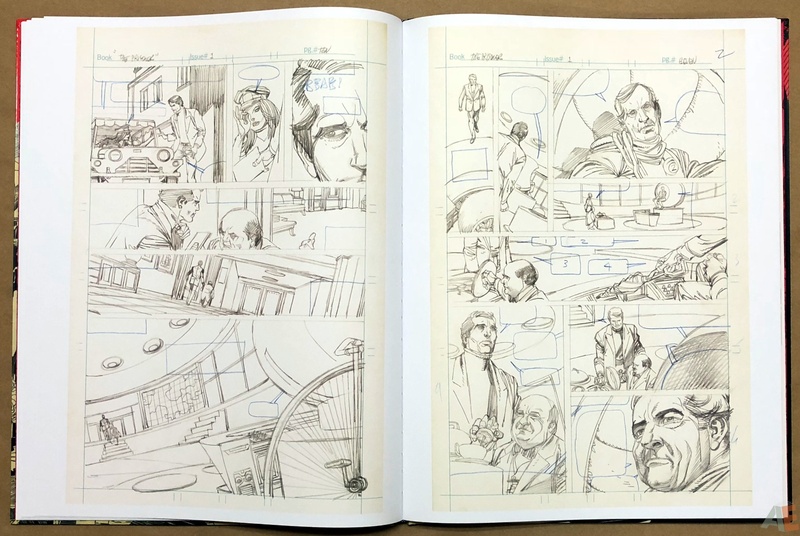 All pages lay flat with a smoothing of the center. 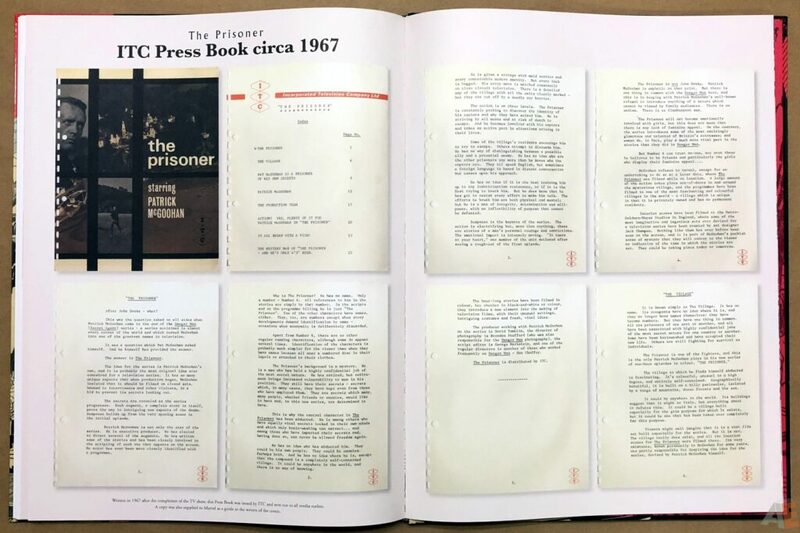 There is a table of contents but no page numbers in the book. 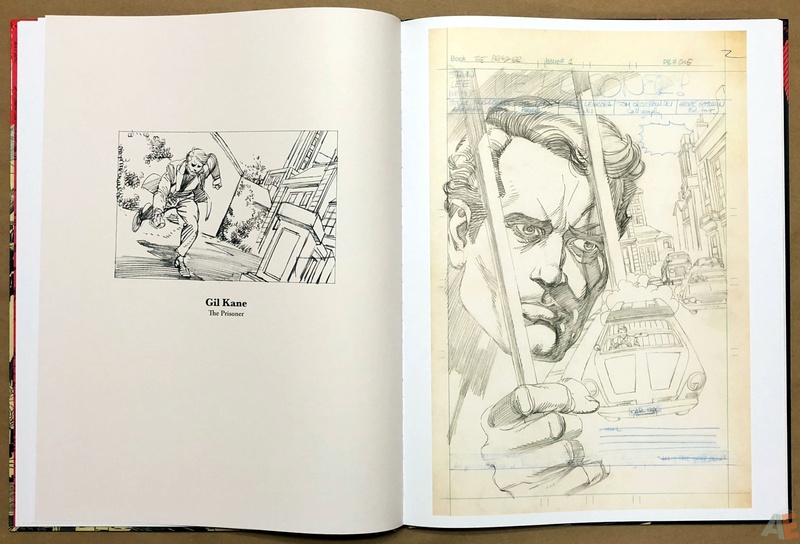 The book is 13″ wide, giving a full inch on either side of the artwork. This is a significant side margin compared to the minimal top and bottom margin. 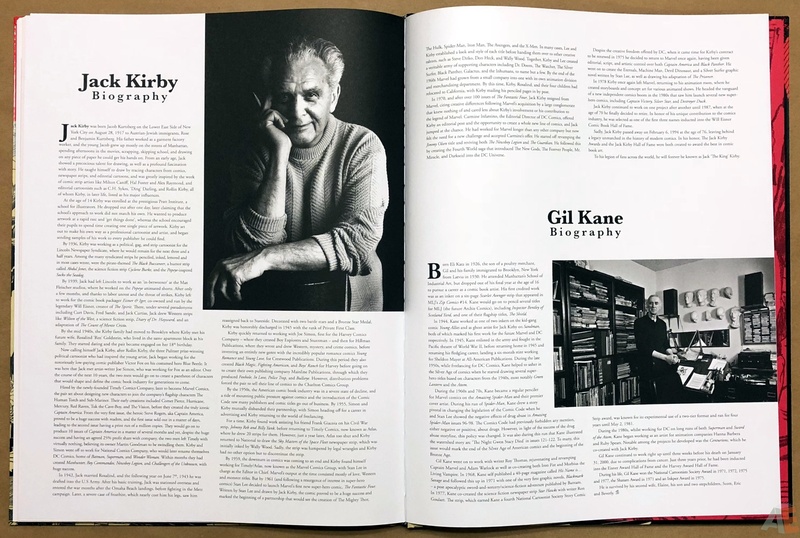 Those wide side margins aren’t utilized anywhere and make for an AE format book wider than what we could consider the “standard”. This book was a struggle for me to buy. 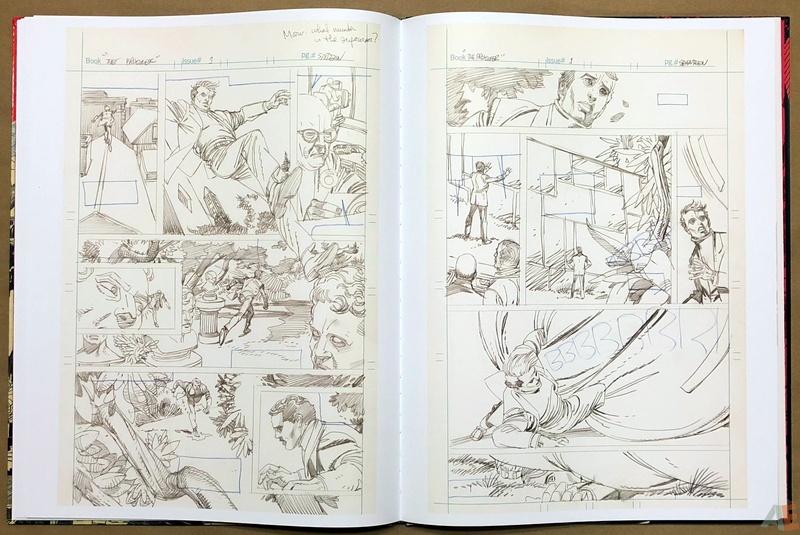 Initially announced at 56 pages for $79.99 USD, that was crazy. 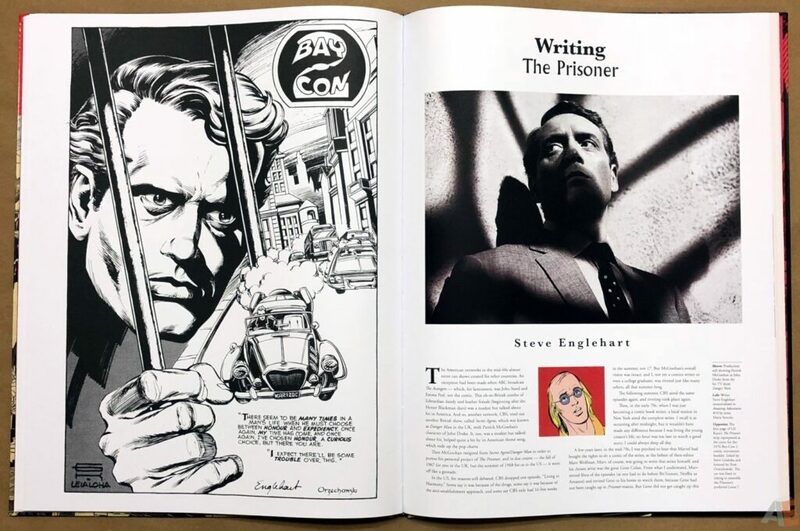 The amount of original art is small, but that’s all that was produced, and feels to be a minor part of the overall work. 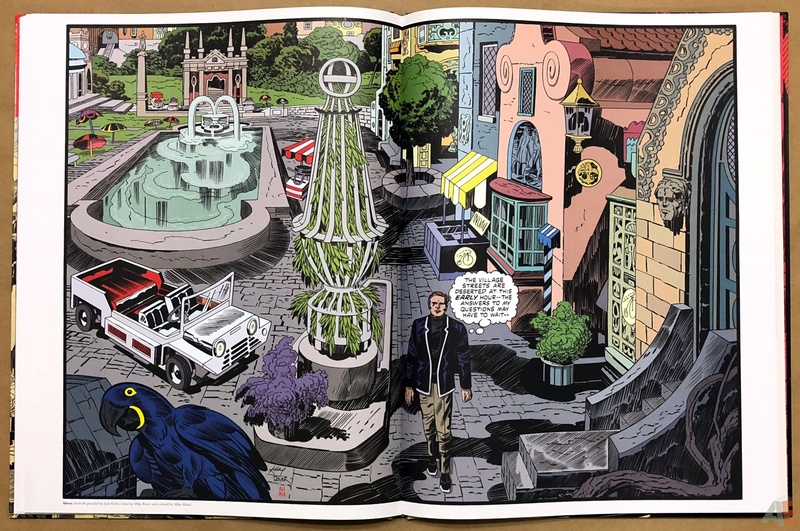 You can see Titan tried to add to the book and flesh it out beyond the artwork, but then it becomes something other than a showcase for the art. 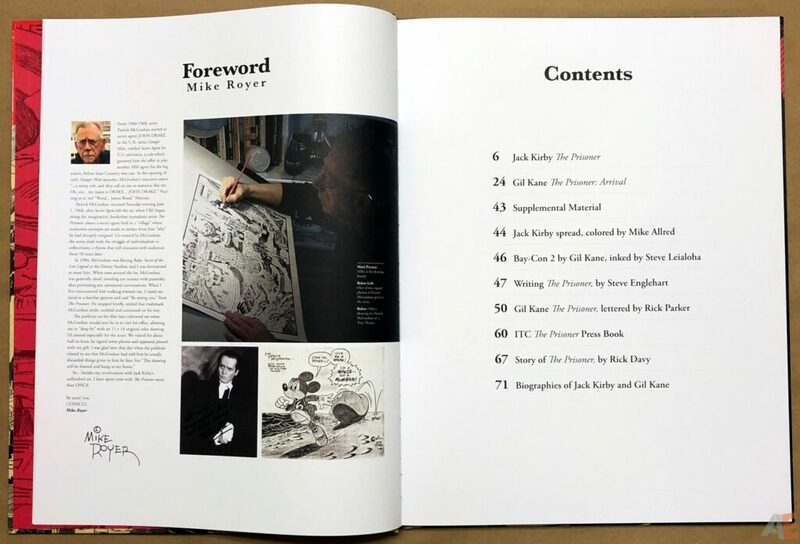 This is a book about the show and genesis of the comic from a variety of perspectives. 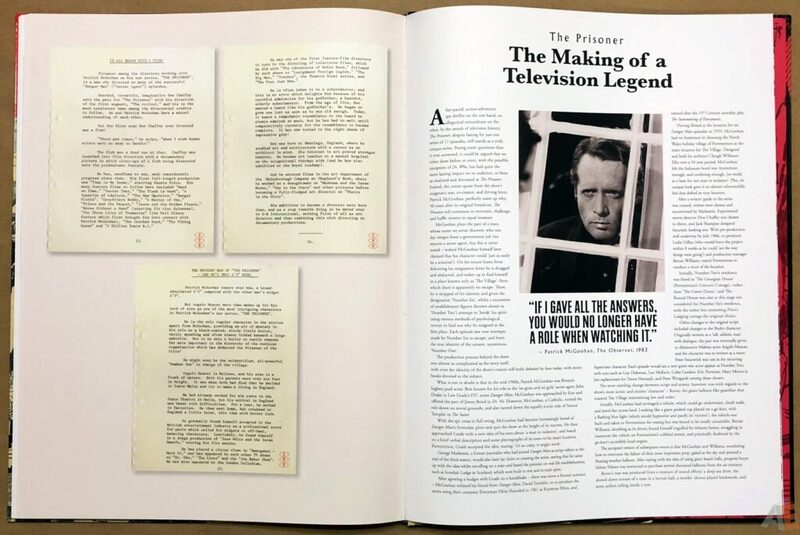 The creator biographies feel out of place, with the focus being on The Prisoner television series. Again, part of the struggle to enhance and expand upon the material. 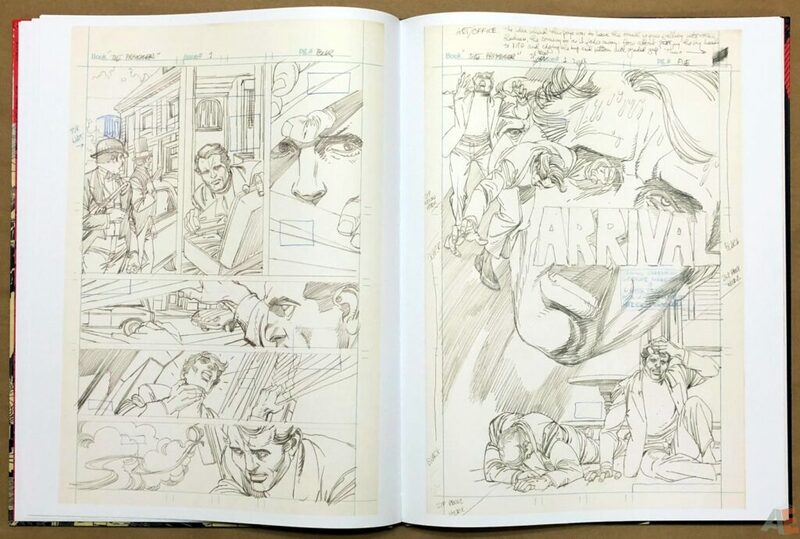 Very few of the pages are finished with inks and letters, so we probably didn’t need original sized art of rough pencils. 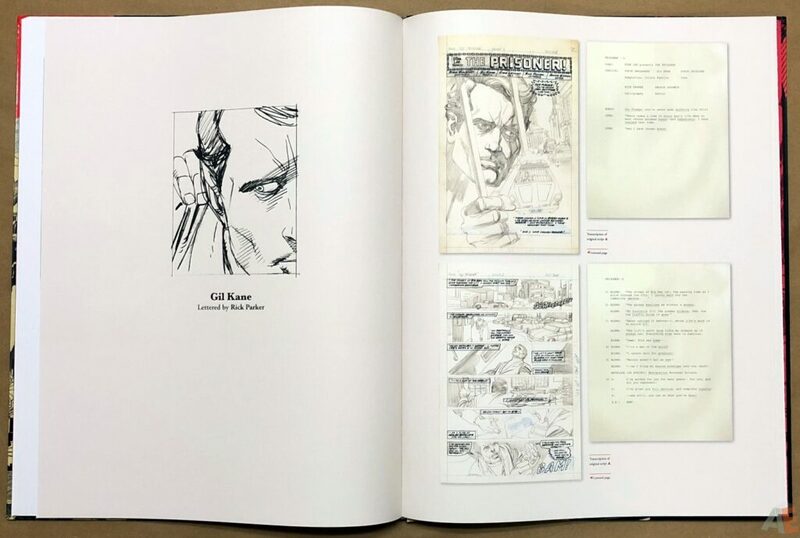 Let’s put this in context: $1.11 a per page, the most expensive AE format book to date. 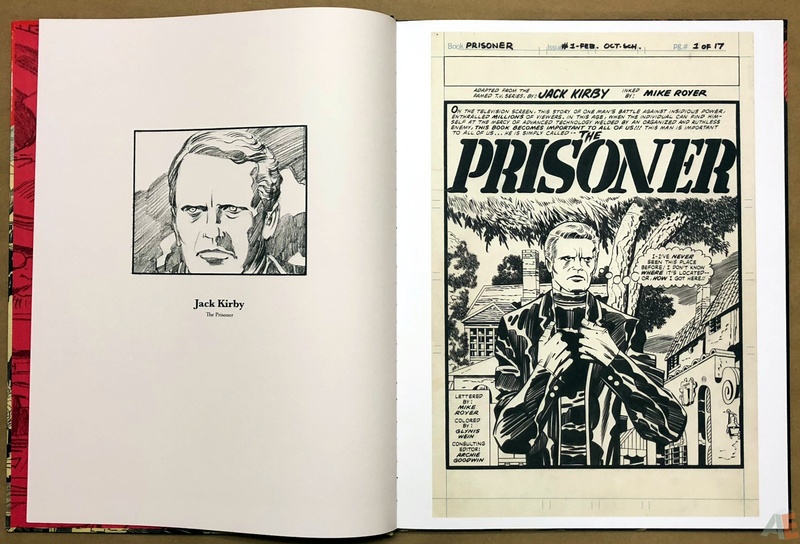 The production is excellent and it’s a great overall package, but would have been better served at 9″x12″ with a $30 price tag.